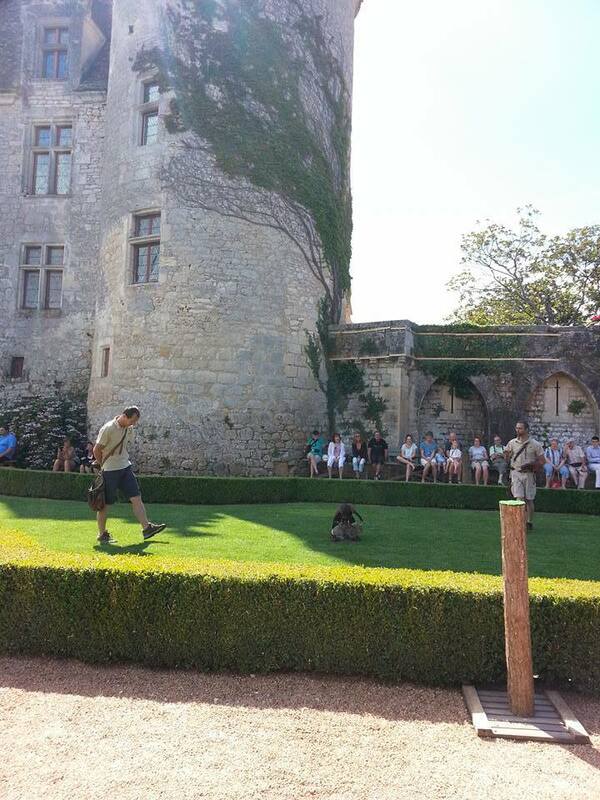 Josephine Baker's Chateau des Milandes is well worth a visit, the falconry demonstration this morning was tremendous. The handlers brought out a ferret and I assumed it was bait, that we were about to witness a rodent execution. A murmur of disquiet passed through the crowd as mothers began covering children's eyes. The handlers explained that the ferret and the eagle are trained to work in tandem, much to the relief of the mothers in the audience. The ferret chases the rabbits out of the burrow and the eagle snags them when the rabbits hit daylight. This process was demonstrated to us with this remote-controlled rabbit the eagle is sitting on in the photograph. I almost wet my pants it was so funny. The ferret chases! The eagle swoops! Robo-rabbit is caught!